Norway, known for breathtaking glacier-carved valleys, fjords and abundant hydropower, is also increasingly the home to green data centers that can use the cold air (and water) for cooling, and clean power for electricity. 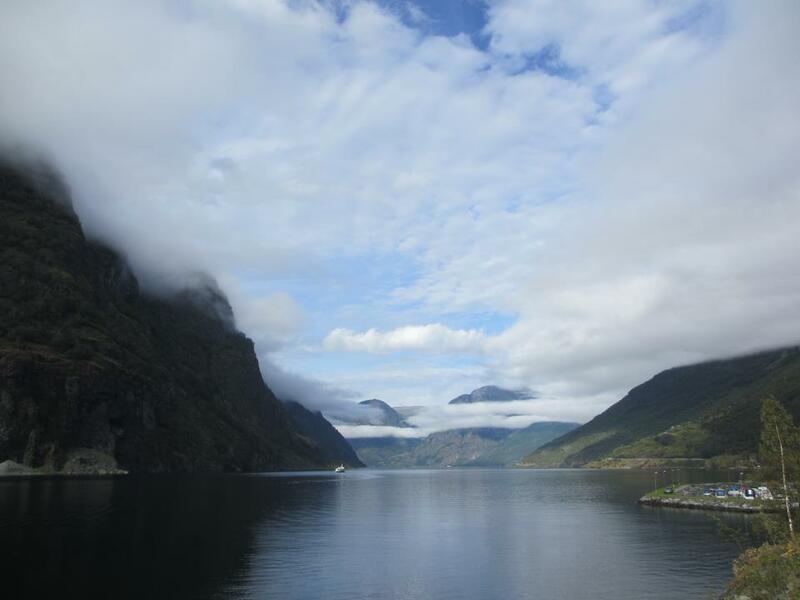 And now a two-year-old Norwegian startup called Fjord IT is counting on the country’s natural environment to help it attract customers to its green data center services, including cloud computing and cloud-based storage. Fjord IT has opened up its first data center space, which is a 1,000 square meters (3,280 square feet) pilot project, in Oslo. The company is co-locating its data center with Broadnet, the largest broadband and Internet service provider in Norway. Fjord IT has developed a cooling technology and is powered by cheap hydropower, which has a lower carbon footprint than fossil-based power. Those attributes could make its IT services appealing to environmentally-minded businesses as well as businesses in countries that have renewable energy and emission-reduction goals. Gallefoss says the company has lined up its first customer in its Oslo space — business software service provider 24SevenOffice — and plans to open another data center space in Notodden, west of Oslo, this summer. The Notodden data center will be larger and use its cooling technology. The company is hoping to line up $10 million in a second round of funding this year, following a first round of $2.5 million from investors in Europe and Hong Kong. Gallefoss didn’t want to talk about the cooling technology because he said the company is still applying for patents, but described it as a passive cooling technology that makes use of the cold outside air to maintain a constant temperature indoor. The average temperature of Norway is 7 degrees Celsius (about 45 degrees Fahrenheit). Google and Facebook are using this type of cooling for their data centers in that region of the world, too. Fjord IT can keep its operational cost down with the help of the abundant hydropower in Norway, Gallefoss said. Hydropower accounted for about 95 percent of the electricity Norway generated in 2010, according to the International Energy Agency. Retail prices for electricity range from $0.05-$0.10 per kilowatt hour, Gallefoss said. Hydropower, being renewable and doesn’t spew pollution into the atmosphere, has become popular for data center operators who want a cheaper, cleaner source of electricity. France-based Internet service provider OVH.com recently opened a data center in Canada that runs on hydropower. Iceland also appeals to data center operators for similar reasons. Verne Global has set up a data center in Iceland, and Greenqloud has been selling IT services out of data centers in the country, which runs on hydropower and geothermal electricity. Gallefoss said its first data center space can achieve a Power Usage Effectiveness (PUE) of 1.3 while the second one is expected to get PUE 1.05. PUE is a ratio of the power used to run a data center’s IT and servers versus the power for running the entire data center. The measurement is one of the more common metrics for determining a data center’s energy efficiency. Germany is the big target market for Fjord IT because the country is keen on reducing its carbon emissions, but for the German market, Fjord IT plans to be a wholesale service provider and rely on its German customers to sell its service. Germany also is the largest solar energy market in the world thanks to government subsidies that pay solar power project owners a premium for the electricity. Europe, overall, has set 2020 goals for reducing emissions and making use of energy more efficiently. The European Commission is pleased with the progress it’s making with reducing emissions but not so much with achieving the energy efficiency goal. As a result, it’s keenly interested in IT technology that will help it meet that goal, including the operation of more energy efficient data centers. That hydro power doesn’t produce greenhouse gases is not necessarily true. The reservoirs behind hydroelectric dams contain a great deal of rotting organic material that emits CO2. The CO2 is sequestered in the water until it goes through the plant. The beautiful white foam coming out of the gates is actually released CO2, the primary greenhouse gas. Well, the volumes of these emissions are totally insignificant compared to the gas from the powerplants powered on gas and coal. The magazines in Norway are mostly very high altitude often above the tree border and too cold for any serious organic growth, so even this effect would be very very small. Anyway this factor is within the natural organic cycle and does not produce more CO2 as such.